PSA: Mr Hizola’s Opens Its Doors And It’s Every Bit As Fab As We’d Hoped! 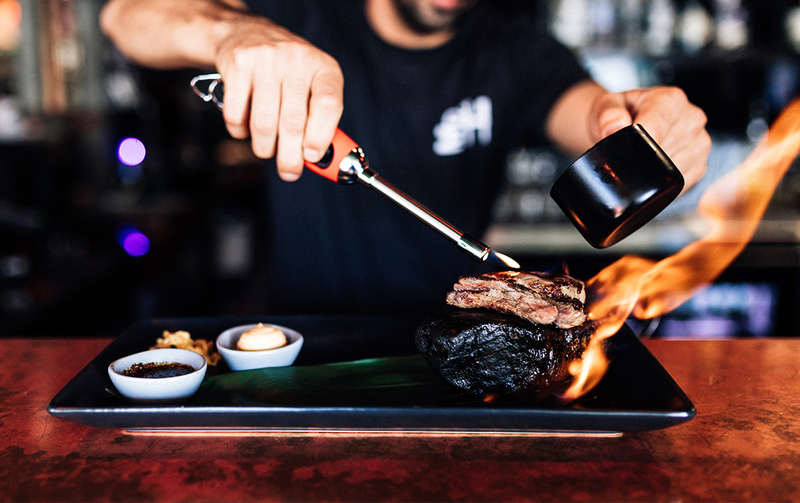 When we broke the news back in May that Scott Imlach, the man behind GC gems Hideaway Kitchen, Bine Craft Beer Bar and Nightjar, was set to open a brand spanking new eatery Mr Hizola’s in the heart of Burleigh Heads, we were stoked. And now we’ve popped over for a visit, we’re doing a little happy dance because this place has got the goods! Located next door to the hidden shop front of Iku Yakitori and a stone’s throw from Jimmy Wahs, Mr Hizola’s has found himself in great company—Burleigh Heads is seriously buzzing rn people. Walking along the popular foodie strip you can’t miss the eatery with its neon red sign and bright lanterns drawing customers in, and trust us, you won’t be disappointed if you happen to stumble upon this place. 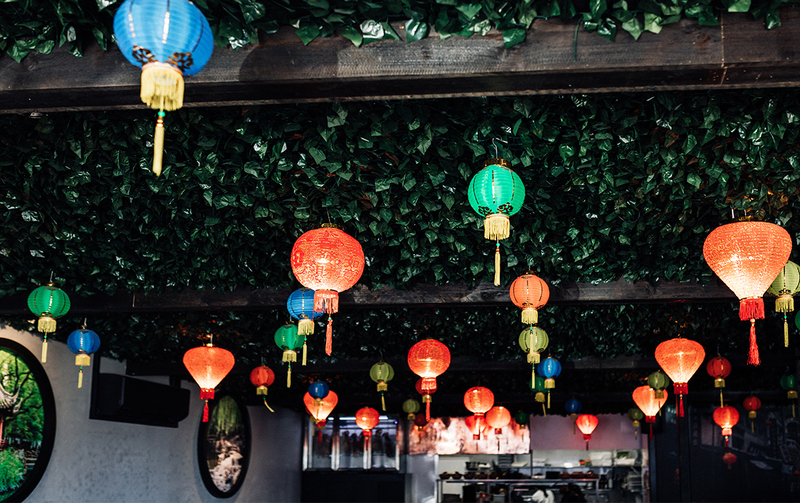 Inside you’ll be transported to a Chinese garden with vines and lanterns covering the ceiling, while polished concrete floors and sleek leather booths make this restaurant a moody dining hotspot. And you know a place is pretty spesh if we feel the need to point out how good the walk to the bathroom is—yes we’re serious. Hidden near the back of the restaurant is a narrow hallway featuring graffiti-covered walls that are littered with clusters of lanterns. 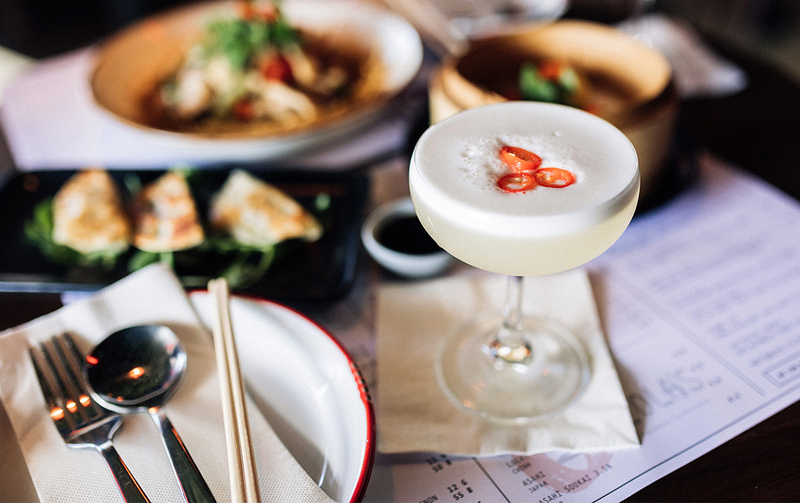 You’ll feel like you’ve stumbled upon an alleyway in downtown Hong Kong. And yes, it’s incredibly Insta-worthy. The restaurant, named after head chef Jon Hizola, formerly of Hideaway, is offering up a flavour-packed contemporary Cantonese-style menu. But it’s not your typical Chinese eatery, not even close. Here, Jon and Scott, want diners to go on a food journey, one that will delight all five senses. Case in point, the sizzling wagyu steak is served on a fo zek stone (AKA really, really hot). It’s delivered to your table, doused in brandy and set alight, flames licking upwards and cooking the meat to mouth-watering perfection right in front of you. Dinner and show? We think so. Each dish tells a story too. Take the salmon yu sheng with ginger soy sesame oil. Chinese New Year festivities often involve the tossing of yu sheng for good fortune. So at Mr Hizola’s the meal is delivered to your table and then tossed by your server. It’s believed the higher you toss, the better your prospects and fortune in the year ahead. Want even better news? They’re doing Yum Cha people! That’s right, seven days a week, 12pm until 4pm, you can get your fill of half roasted duck pancakes, golden buddha tofu rolls, kung pao chicken and Mongolian clay pot beef. Yea, we suggest wearing loose pants for that one. There’s an impressive haul of tipples on offer too, including a load of local wines, but the cocktails really are a must-sip. Be sure to try the Quat You Talking About—white rum kumquat liqueur, grapefruit juice, lime juice and simple syrup. Swing by for said cocktail and people watch from the window bar or—and we seriously recommend you do—carve a few hours out of your day and order the Emperor’s Feast. For just $50 per person you’ll be treated to around six to seven small dishes made specifically for you, based on your likes and dislikes. And best of all, it means you can keep coming back and have a completely different menu every single time. Now that’s pretty special. Vegan, vegetarians and those who are gluten-free, rejoice! Even though the menu has loads of options for you, the team are only too happy to come up with an array of dishes to keep your belly full and happy. Mr Hizola’s officially opens this Thursday the 28th, with full lunch service kicking off Monday July 2nd. We’ll see you there! Want somewhere to kick on after? 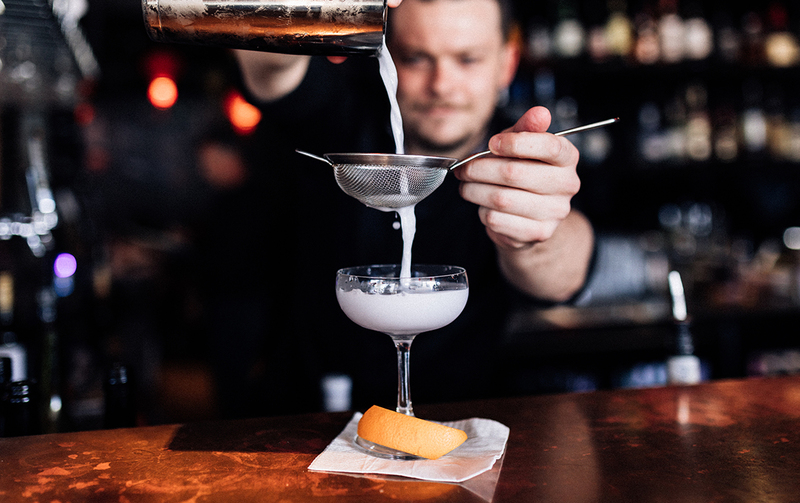 Check out our guide to the best bars in Burleigh.